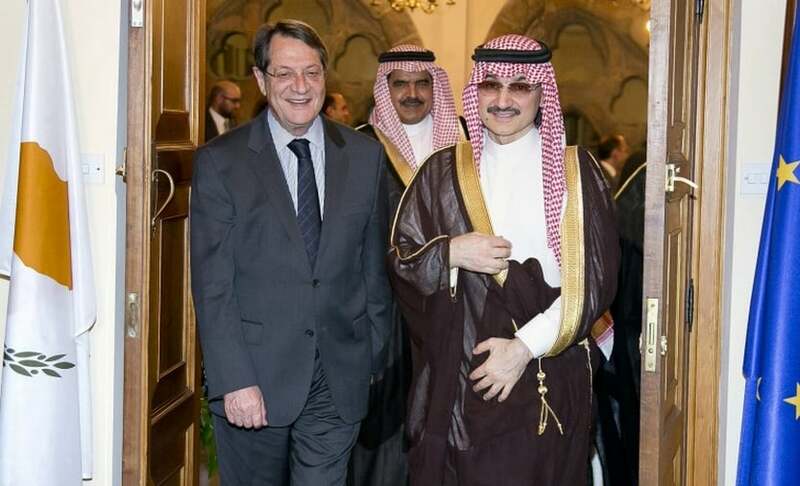 Prince Alwaleed Bin Talal met with the President of Cyprus, Nicos Anastasiades, at the Presidential Palace in Nicosia, Cyprus yesterday. During the meeting, Prince Alwaleed and President Anastasiades discussed various regional issues and the current economic climate. It has been rumoured that Prince Alwaleed is considering moving his news channel Alarab TV to Cyprus, where it will be outside the censorship of the Gulf nations. The prince’s Alarab TV news station launched earlier this year in Bahrain but was taken off-line after just a a few days by the Bahraini government.